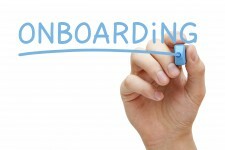 A holistic approach that addresses both the tactical and strategic elements of the onboarding process will solve Federal onboarding challenges. By automating manual, paper-intensive, tactical onboarding processes, federal hiring managers and HR professionals are free to focus on strategic on boarding such as individual employee preparedness assessments and providing information and resources to ensure that new hires are acclimated to the agency mission and culture and are ready to start on day-one. The necessary elements for effective tactical and strategic onboarding processes and procedures. How to reduce tactical onboarding burdens through an agile, digitally enabled onboarding process. How to create a more holistic and personalized onboarding experience for next generation employees. In this online training we examine the key considerations for adopting a holistic approach to onboarding that will improve retention with a positive employee experience from their first day.